The legendary Ygay property is located at an altitude of 500m in the heart of the Rioja Alta. The 2001 is a blend of 93% Tempranillo and 7% Mazuelo. After fermentation in stainless steel the wine has been allowed to age in barrique for 31 months, of which nearly a third has been spent in new barrels. To complement this generous intervention is the natural benevolence of the vintage, which has resulted in 2001 being hailed as great, greater indeed than the excellent years in the mid 90s. 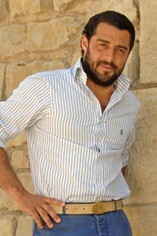 This is borne out by the quality of the fruit, the pedigree of the aromas and the length on the palate. Earth, spice and black cherry dance with dexterity over the palate, and there is great finesse and charm on the finish.Just starting to drink, good for a decade or two. 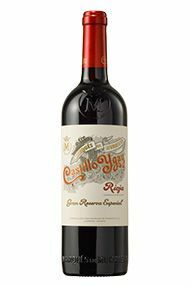 The Wine Advocate - I reported on the current release, the 2001 Castillo Ygay Gran Reserva Especial, previously but underrated it slightly. This cuvee is sourced from a single plot called La Plana planted at over 1500 feet of elevation. It is made up of 93% Tempranillo and 7% Mazuelo chosen for its acidity. The wine is aged for 10 months in new American oak followed by 21 months in seasoned oak. It is then held in bottle for 3-4 years prior to release. Deeply colored, spicy, elegant and complex, the wine has great volume and grip as well as exceptional length. It can be approached now but will easily have a 30 year lifespan. Marqués de Murrieta was one of two pioneers in the production of Rioja wines, this bodega was established in 1852 and is proudly old-fashioned in its approach. All the grapes are sourced from the bodega's own vineyards at Ygay near Logroño, which were recently extended to 300ha. Traditional grape varities are grown Tempranillo, Graciano, Mazuelo, Garnacha Blanca and Viura, many of which have now disappeared from the region. The wines of Murrieta wines are produced by traditional methods, ageing their wines in wood for a minimum of two years (much longer than at any other Bodegas) and there are 14,000 casks for that purpose. The bodegas produces a small range of wines that include the Marqués de Murrieta, the glorious and very rare Castillo Ygay Gran Reserva Especial (aged in excess of 36 months in American oak) and since 1995, a premium super-cuvée, Dalmau. The latter stands out for the inclusion of 10% Cabernet Sauvignon in the blend, alongside the 85% Tempranillo and 5% Graciano, but also for the use of small French barriques, in which the wine is aged for a period of typically 19 months. There are over 200 different grape varieties used in modern wine making (from a total of over 1000). Most lesser known blends and varieties are traditional to specific parts of the world.